Shift templates are common shift times that you can use to schedule faster. This guide will walk you through how to setup and use shift templates. 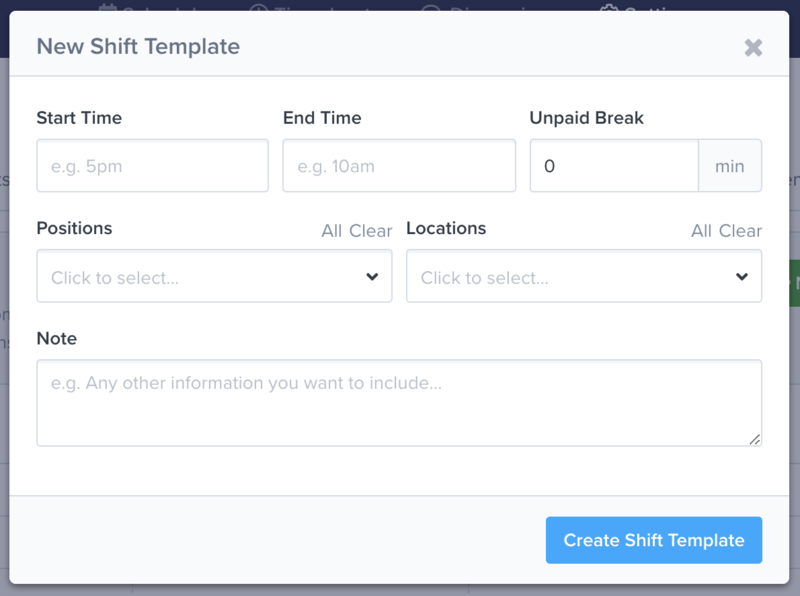 To add or edit a shift template go to the Settings => Schedule Settings => Shift Templates page. Add a new shift template by clicking on the New Shift Template button. You should see a pop-up like the one below. To edit a shift template, click on it, update the fields, and submit the form. To delete a shift template, click on it and click the Delete button. Note: Selecting positions and locations will limit the shift template selection when creating shifts. 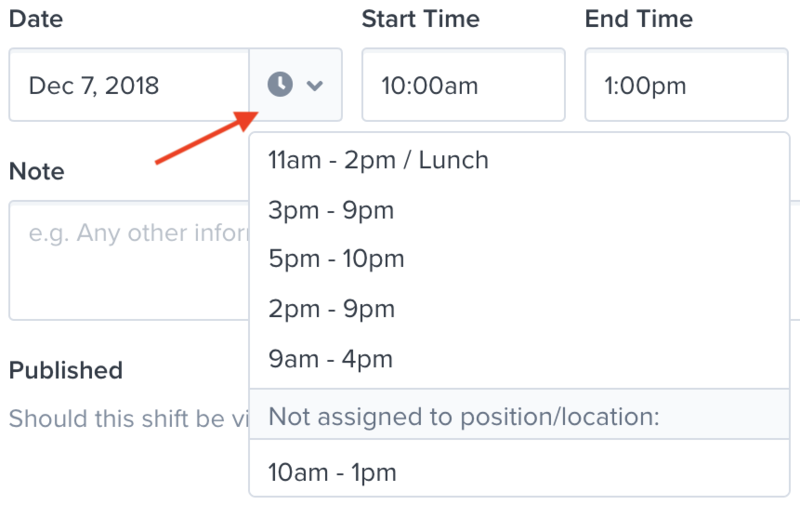 When creating and editing shifts, click on the time icon to select a shift template. This will update the shift details.